Whether you&apos;re looking to fly or drive, you&apos;ll have no trouble finding Wilmington, Carolina Beach, Kure Beach, and Wrightsville Beach. The area features convenient access via the state&apos;s numerous interstate highways to several metro areas listed in the charts below the map. 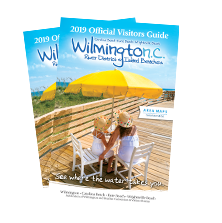 The major East/West Interstate artery I-40 leads to Wilmington, NC and our Island Beaches -- which is located midway between New York & Florida, just off I-95 and I-40. The destination is also served by Highways 17, 74/76, 117, and 421 as well as Greyhound Bus Lines. Interstate I-95 is 73 miles away.